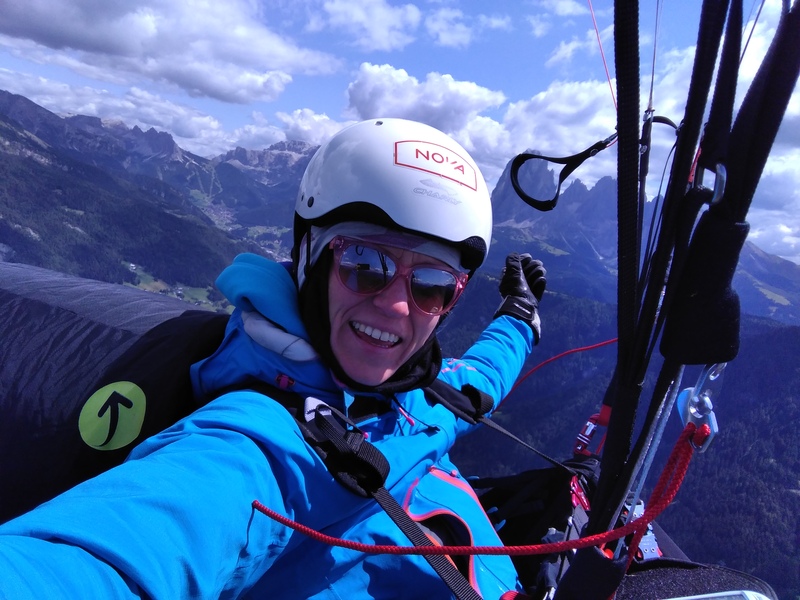 I can not compare my flights with all these mega flights that many of the NOVA pilots team completed, with all the kilometers flown and with all the altitude meters gained hiking. Not at all. BUT I can easily keep with big emotions in flight. I shortly would like to share my experience of a few days ago. The weather seemed to be good for the next day, so I organized a babysitter for our two kids. It took me a while to get to take off because of the tourist traffic in Gardena Valley. 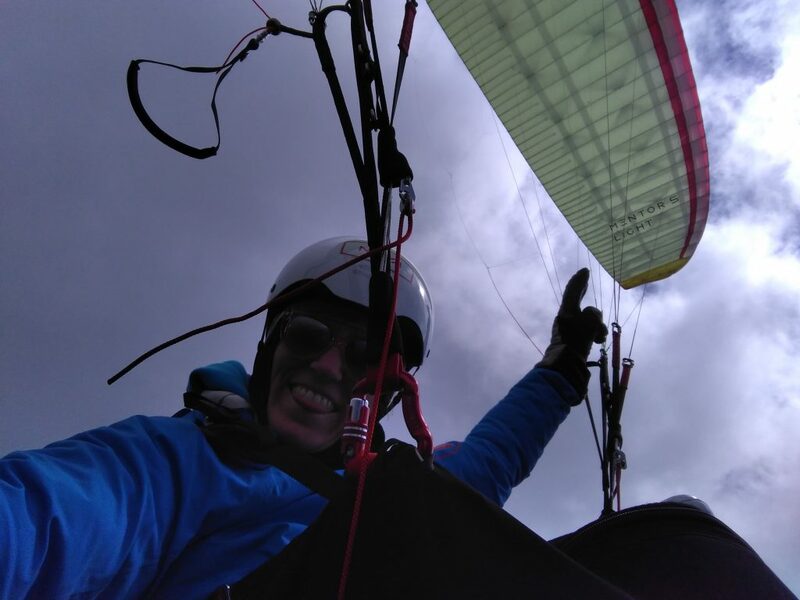 When I finally reached the take-off it did not really look like a perfect day. Clouds covered the peaks of the mountains. But today was my day! I took off with some other pilots but was quickly left alone climbing the not so easy thermal. I told myself to be patient, the day will get better. Eventually, I reached Sassolungo and made it down to Fassa Valley. Yesss, after years of short local flights, I finally had the chance to go a bit further. Cloud base was not very high, about 3000meters, but high enough to go further. 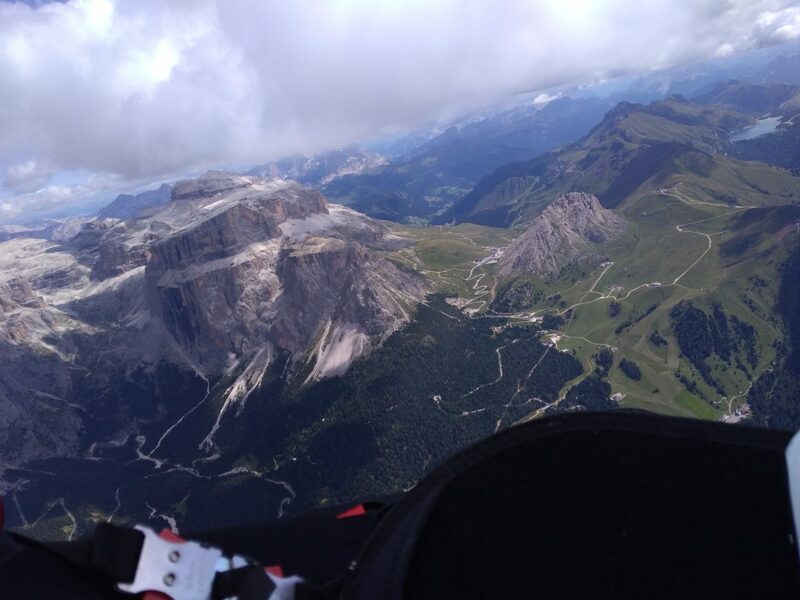 Back at Col Rodella, I decided to fly around the Sella group. I have never done this before. Luckily, I did it this time. It was freaking great. You have to fly over there once in a lifetime! 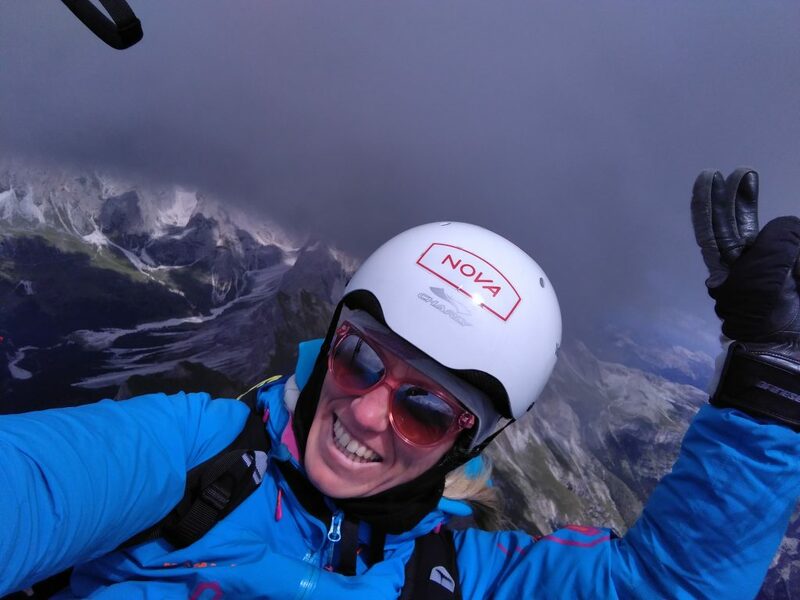 The north wind did not really want me to fly that loop… But my mind was stronger and I climbed up to nearly 3400 meters at Piz Boé. Guys, you cannot imagine how happy I was. Such an amazing view. Nevertheless, it was so cold and, even worse, I had to pee! I was not prepared for such a great flight. 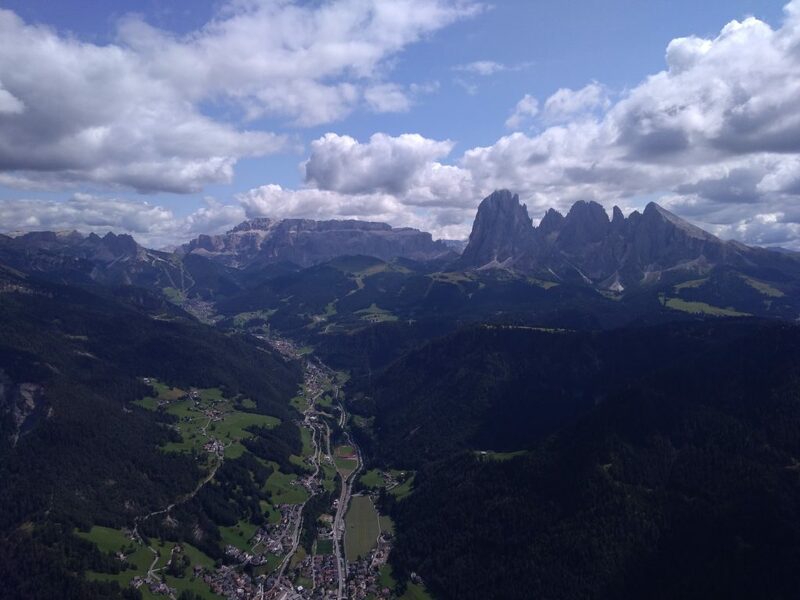 Back to Val Gardena I climbed the last thermal, it was just a pleasure and I got high. Gliding to the landing was fabulous, the view astonishing.